OTTAWA, August 22, 2016– Eleven organizations, including the Royal Architectural Institute of Canada (RAIC), are calling on the federal government to implement a bold national plan for improving the energy efficiency of Canada’s buildings. They offer 14 recommendations for key policies and programs for a national plan that would help the government meet climate-change objectives and reduce greenhouse gas emissions. Such a plan, they say, would set the stage for deep energy retrofits of existing buildings (energy reductions of 25 to 50 percent of one-third of Canada’s buildings by 2030), and all new construction to be nearly zero energy by 2030. “Canada has an important opportunity to transform the built environment and transition to a low-carbon future while enhancing the performance and livability of Canadian homes and businesses,” they write in a letter to the Minister of Natural Resources, Jim Carr, and the Minister of Environment and Climate Change, Catherine McKenna. The signatories, who represent energy and building professionals, associations, non-government organizations, and businesses, are the following: Canadian Energy Efficiency Alliance, Pembina Institute, Association Québécoise pour la Maîtrise de l’Énergie, Toronto Atmospheric Fund, MaRS Advanced Energy Centre, Passive House Canada, BOMA Toronto, Council for Clean Capitalism, Environmental Defense, Équiterre and Royal Architectural Institute of Canada. “As the leading voice for architecture in Canada, we are proud to be working with the Pembina Institute and other leading built-realm organizations to enable and impel bolder responses to pressing eco-social challenges,” says Jennifer Cutbill, RAIC regional director for British Columbia/Yukon and chair of the RAIC’s Committee on Responsible Environments. “All parties involved in the creation of the built realm - from policy and planning, through to design, construction and inhabitation - have an obligation to shift towards more holistically sustainable patterns,” says Cutbill. “As architects, we are often leaders of the multi-stakeholder teams responsible for delivering the pieces of our built realm, and as such we have a responsibility to take a leadership role in advocating and innovating for a shift to more holistically sustainable patterns,” she says. 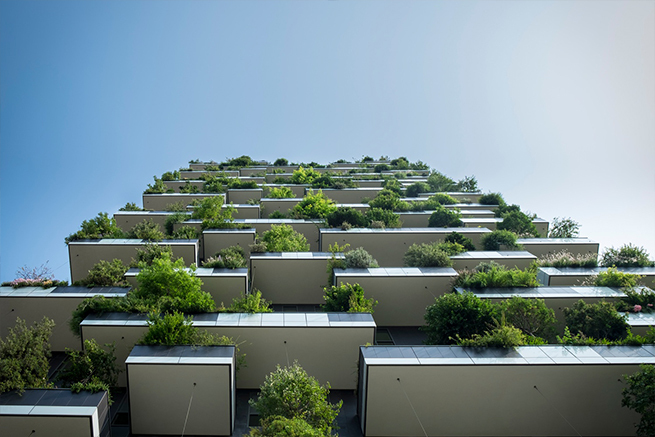 The organizations note that the total energy consumption of buildings accounts for nearly one-quarter of Canada’s greenhouse gas emissions. “In order for Canada to achieve its 2030 climate target under the Paris Agreement and its longer-term de-carbonization goals, we must significantly reduce emissions of existing buildings and ensure that new buildings are designed for ultra-low emissions,” they write. Energy efficiency programs, they add, will create jobs, stimulate economic growth and improve the quality of the spaces where Canadians live and work. Financial support or supporting other levels of government, to incentivize and remove barriers to deep retrofits. The groups say the federal government should lead by example, noting it owns or occupies over 27-million square metres of floor space across Canada. At the same time, they applaud “the commitment and world-class leadership” the government has shown on climate initiatives.